$695 per person. Breakfast included daily, 5 days of training with Coach Mark in Paradise! Kona Ironman World Championship will be held on Saturday, October 12. Camp begins on Sunday, October 13 with a group dinner. The ultimate Triathlon Camp experience! We train on the Kona Ironman World Championship Course. Swim, Bike, & Run in this mecca for triathletes everywhere. Learn the POSE Method of running from a Certified Technique Specialist to run injury free for life. Starting with video tape analysis before and after instruction, see how your body is moving and learn ways to correct yourself and move your body the way it was designed to move. Video tape analysis of your swim stroke before and after instruction teamed with drills to help you get the most from your stroke. We swim in the iconic A Bay in Waikoloa as well as on the course at the Kona Pier. You will learn how to overcome fears of Open Water Swimming with tips and tricks from this 20+ year triathlete and coach. Cycle on the Queen K. We base camp out of Waikoloa for a multitude of reasons, but number 1 being that we get to ride the entire course over the week without having to do the 112 miles in one day. Waikoloa is conveniently located midway, so some days we head north to Hawi and others south to Kona. Always with our SAG vehicle on the course so you do what you can do. No pressure and no fear. We learn how best to manage your bike and your output for both training and race day. Classroom time each day is relaxed and casual. Discuss nutrition, mental strategy, transition, & training plans for each distance. Make new friends, share stories, train with others. Your level is not important, it's all about heart and desire. Camp begins on Sunday evening with a group dinner for introductions. We start Monday morning with training each day in all three disciplines with plenty of time for rest and enjoying the beauty of Waikoloa. Camp will end on Friday by noon to aid with check out and travel times. Breakfast is included each day and prepared by the Coach himself. All other meals are on your own. 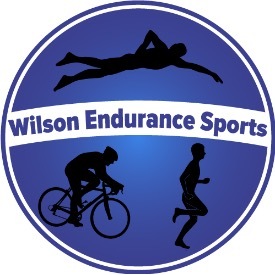 We have chosen this week in October following the Ironman World Championships; if you like Triathlon, you owe it to yourself to experience the pinnacle in our sport. You will be absolutely floored by the venue, the event and the energy that is now over 40 years old. YOURSELF, give Mark a Tri! And if paradise sounds like a sweet idea, I hope to see you there next year, because I am definitely going back!"